Best appliance repair in West Eugene! All brands and models. We are a full-service company doing appliance repair in West Eugene. Our services are fast, professional and reasonable prices. We repair all brands and models of kitchen appliances as well laundry appliances and outdoor kitchens. If you are in need of refrigerator repair, washer repair, dryer repair, dishwasher repair, stove and range repair, oven repair, steam oven repair, microwave repair, freezer repair, ice maker repair, barbecue repair, pizza oven repair, patio heater repair we can help you for sure. Our technicians are factory trained and certified to fix any brand or a model of an appliance in your home. They are up to date on the latest technological innovations in the home appliance industry. You can be sure that your appliance is in good hands. When it comes to kitchen appliances, there is a huge variety in both quality, condition, age, and price. Some people have very expensive, gourmet or European brand equipment. Other people have older and simpler models. Our technicians are familiar with all of those models. We also have the excess majority of genuine parts. We can get those parts for you in record time and at a great price. Appliance repair in West Eugene tech will be able to quickly and accurately diagnose your appliance, find the parts and install them most professionally. Our team is very detail oriented. We make sure to do things right the first time. Besides having a lot of skills and experience in appliance repair in West Eugene, we also pride ourselves on giving you the best customer service possible. Our appointments are flexible and will fit your schedule. Technicians who work for us are not only masters of the trade but are also great to work with. They are punctual, polite and friendly. From the moment you call us to the end of the job, you will feel well taken care of. Also, you get FREE service call with repair and FREE, accurate estimate before every job. Oregon Appliance Repair is a family owned and family managed company. 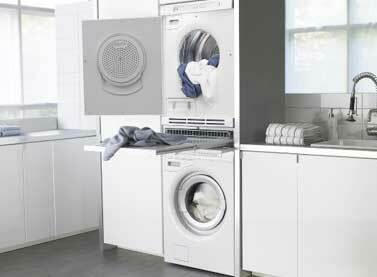 We have been doing kitchen appliance repair as well as washer and dryer repair for more than 30 years. This gives us a lot of experience is where we get our experience. Amazon, Bethel, Cal Young, Churchill, Crest Drive, Downtown Eugene, Eugene, Fairmount, Far West, Friendly, Goodpasture Island, Harlow, Industrial Corridor, Jefferson Westside, Laurel Hill Valley, Northeast, River Road, Santa Clara, South University, Southeast, Spencer Butte, Trainsong, West Eugene, West University and Whiteaker. We are licensed to do large projects of commercial appliance repair for restaurants, cafeterias, and catering companies as well as for regular consumers. Oregon Appliance Repair will make sure that your appliance is fully functional, safe and clean. Customer satisfaction guaranteed! For appliance repair in West Eugene just give us a call at 541-948-8835 or fill out our short contact form. Our team will immediately get to work. They will set up a convenient appointment for you and pick up an appliance repair technician best skilled for the job. Our tech will take all the tools and equipment necessary. Often we even have parts on hand for some of the more popular appliances. Technician will assess your appliances. He will take it apart if necessary and will clean it up. Once he finds the problem, he will explain different options to you. After the job is complete, our technician will clean up after himself. He will dispose of all the old parts and will put all the appliances back in place. You will get a perfectly functional appliance that is as good as new. You will also have an option to sign up for our annual maintenance plan. With this plan, you can have complete ease of mind knowing that your appliances are well taken care of. Our tech will come in on annual basis and will check all of your major home appliances. He will perform maintenance including changes filters, cleaning, troubleshooting, etc. This way you will save a lot of money in the long run. We are your best choice for appliance repair in West Eugene because we have 30 plus years of experience. With this experience comes skills to do a project of any magnitude and difficulty. We are perfectionists, and our goal is to get your kitchen appliances in the best shape possible. If it’s an old appliance, we can give it an extra couple of years of life. If it’s a newer appliance, we can make sure you have a long time before you have to put any more money in it. Our clients get excellent, highly professional service at a very reasonable price. No matter what brand or a model you have we will be able to help you. We work on Asko, Bertazonni, Bosch, Dacor, DCS, Electrolux, Fisher&Paykel, Frigidaire, GE, Jenn-Air, KitchenAid, La Cornue, LG, Liebherr, Marvel, Miele, Perlick, Samsung, Siemens, Sub-Zero, Thermador, Traulsen, True, Viking, Whirlpool, Wolf and many more. If you are in need of appliance repair in West Eugene, please call us at 541-948-8835 or fill out our short contact form. We will be happy to set up a convenient appointment for you. Our friendly and highly skilled licensed technicians will soon be on their way to repair your appliances. Our services include kitchen appliance repair or commercial appliance repair we can help you as well. We serve Bend, West Eugene, Crook County, Deschutes County, and Jefferson County. We are a full-service company doing appliance repair in West Eugene. Our services are fast, professional and reasonable prices. We repair all brands and models of kitchen appliances as well laundry appliances and outdoor kitchens.